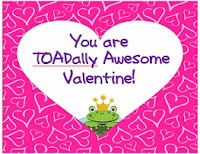 Teach Laugh Plan: TOADally Awesome Valentine's Day FREEBIES! I LOVE LOVE LOVE being a teacher! And I wanted to share the love by sharing some Valentines I made to give my little froggies. I also think my 4th graders don't get enough "fun" stuff to do (compared to the lower grades) because we have to hit academics so hard this time of year. 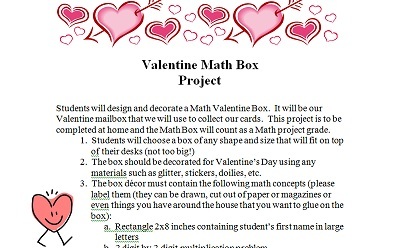 We don't have a Valentine's Day party but do exchange Valentines sooooooooooooo I created this fun project which is still academic to collect our card in. I assigned this project to do at home this year but you can certainly assign this for in class or as homework. Thank you fellow frog lover!!! Cute!! Oh, your blog is too!!! Pinned this! Hope your day is great!